What are the basic functions of the liver? 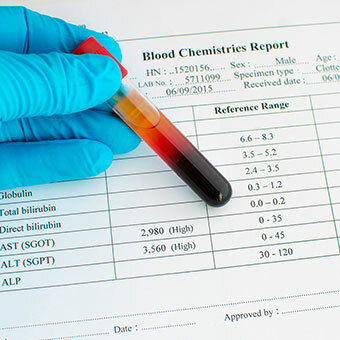 What are common liver blood function tests? What are the aminotransferases enzymes (ALT, AST)? Normally, where are AST and ALT (aminotransferase enzymes)? What do high (elevated) liver tests (AST and ALT) mean? Do AST and ALT test results indicate liver function? What blood tests are done to detect liver function? What are some common reasons for abnormal liver tests? 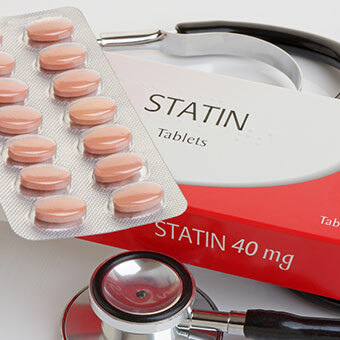 What medications can cause increased liver enzyme tests (AST and ALT) levels? What conditions can cause very high AST or ALT levels? What are some of the less common causes of elevated liver blood and function tests? How are healthy people evaluated for mild to moderate rises in AST/ALT levels? How do health care professionals monitor a person's liver blood values? What other liver enzymes cause medical problems? Liver blood tests are some of the most commonly performed blood tests. 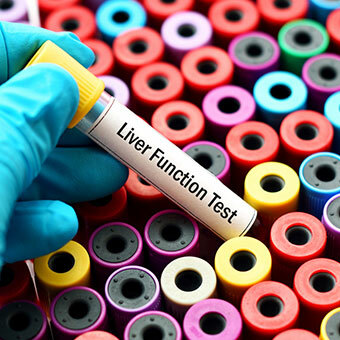 These tests can be used to assess liver functions or liver injury. An initial step in detecting liver damage is a simple blood test to determine the level of certain liver enzymes (proteins) in the blood. Under normal circumstances, these enzymes mostly reside within the cells of the liver. But when the liver is injured for any reason, these enzymes are spilled into the blood stream. Enzymes are proteins that are present throughout the body, each with a unique function. Enzymes help to speed up (catalyze) routine and vital chemical reactions in the body. 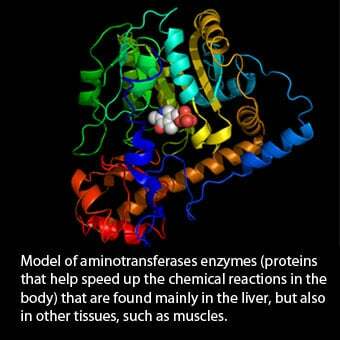 Among the most sensitive and widely used liver enzymes are the aminotransferases. They include aspartate aminotransferase (AST or SGOT) and alanine aminotransferase (ALT or SGPT). These enzymes are normally predominantly contained within liver cells and to a lesser degree in the muscle cells. If the liver is injured or damaged, the liver cells spill these enzymes into the blood, raising the AST and ALT enzyme blood levels and signaling liver disease. Other blood tests pertaining to the liver are measurements of some of the other enzymes found the liver. In addition to AST and ALT, alkaline phosphatase, 5' nucleotidase, and gamma-glutamyl transpeptidase (GGT) are a few of the other enzymes located in the liver. The focus of this article is mainly on the most common liver enzymes, AST and ALT. 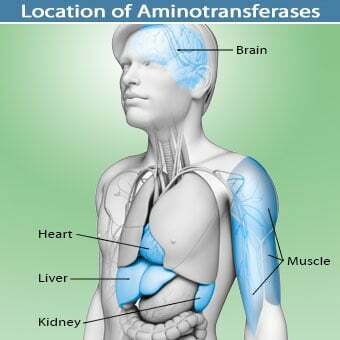 The aminotransferases enzymes catalyze chemical reactions in which an amino group from one amino acid (amino acids are building blocks of proteins) is transferred from a donor molecule to a recipient molecule, hence, the names "aminotransferases." Another name for aminotransferase is transaminase. The enzyme aspartate aminotransferase (AST) is also known as serum glutamic oxaloacetic transaminase (SGOT). Alanine aminotransferase (ALT) is also known as serum glutamic pyruvic transaminase (SGPT). To put matters briefly, AST = SGOT and ALT = SGPT; they are enzymes produced by the liver, and other types of cells). AST (SGOT) is normally found in a variety of tissues including liver, heart, muscle, kidney, and the brain. It is released into the serum when any one of these tissues is damaged. For example, AST level in serum is elevated in heart attacks or with muscle injury. It is therefore, not a highly specific indicator of liver injury as its elevation can occur as a result of other injured tissues. The normal range of values for AST (SGOT) is about 5 to 40 units per liter of serum (the liquid part of the blood). The normal range of values for ALT (SGPT) is about 7 to 56 units per liter of serum. However, the ranges of AST and ALT numbers may differ slightly depending on the technique and protocols used by different laboratories worldwide. However, normal reference ranges are routinely provided by each laboratory and printed with each patient's individual report. AST (SGOT) and ALT (SGPT) are reasonably sensitive indicators of liver damage or injury from different types of diseases or conditions, and collectively they are termed liver tests or liver blood tests. However, it must be emphasized that higher-than-normal levels of these liver enzymes should not be automatically equated with liver disease. They may mean liver problems or they may not. For example, elevations of these enzymes can occur with muscle damage. The interpretation of elevated AST and ALT results depends upon the entire clinical evaluation of an individual, and so it is best done by physicians experienced in evaluating liver disease and muscle disease. Moreover, the precise levels of these liver enzyme tests do not correlate well with the extent of liver problems or the prognosis (outlook). Thus, the exact levels of AST (SGOT) and ALT (SGPT) cannot be used to determine the degree of liver disease or predict the future prognosis for liver function. 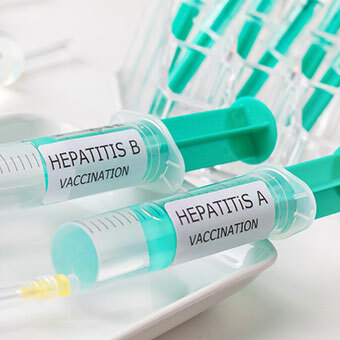 For example, individuals with acute viral hepatitis A may develop very high AST and ALT levels (sometimes in the thousands of units/liter range), but most people with acute viral hepatitis A recover fully without residual liver disease. Conversely, people with chronic hepatitis C infection typically have only a little elevation in their AST and ALT levels while having substantial liver injury and even advanced scarring of the liver (cirrhosis) from ongoing minor inflammation of the liver. It is important to clarify that ALT and AST levels do not reflect the function of the liver, even though in the medical community and in medical publications they commonly, and incorrectly, are referred to as liver function tests. Even in conditions when AST and ALT are very elevated, the liver still may function properly. Consequently, if you have "elevated liver enzymes" or a high or abnormal liver test, you need to ask your physician exactly what all of the tests indicate. Coagulation panel (prothrombin time or PT, and international normalized ratio or INR): These tests measure blood's ability for normal clotting and prevention of bleeding and bruising. This is the function of certain proteins called clotting factors that normally are produced in the liver. Normal values are about 9.5 to 13.8 seconds. Albumin level (hypoalbuminemia): Albumin is a very common protein found in the blood with a variety of functions. It also is produced only in the liver, and if its levels are lower than normal it can be suggestive of chronic liver disease or liver cirrhosis. Of note, many conditions other than liver disease also may cause low albumin levels. Normal values are about 3.5 to 5 g/dL. Bilirubin: This molecule is a byproduct of the routine destruction of red blood cells occurring in the liver. It is normally released as bile in the feces. Elevation of the bilirubin can suggest liver dysfunction. However, other conditions with increased destruction of red blood cells also can cause elevated bilirubin levels despite normal liver function. Normal values are about 0.1 to 1.0 mg/dL. Platelet count: Low platelet count (thrombocytopenia) has many causes, one of which can be advanced liver disease. 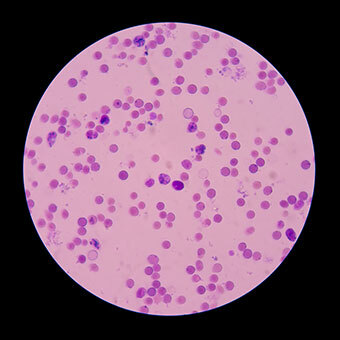 Normal platelet counts are about 150,000 to 400,000 per (µL). Glucose: Glucose level is maintained in the body by a variety of mechanisms. The liver can release glucose in the blood for nourishment of other cells in case of starvation with insufficient oral intake of glucose. This process, called gluconeogenesis, is another major function of the liver. In advanced liver disease, this function of the liver can be compromised leading to unusually low glucose levels in the absence of adequate oral intake. Conversely, a large number of people with liver cirrhosis become glucose intolerant and develop diabetes. GGT (Gamma-glutamyl transpeptidase): This enzyme is thought to indicate possible liver damage; the higher the abnormal level, the more likely there is liver damage. Normal levels of GGT are about 9 to 48 U/L. ALP (alkaline phosphatase): The liver synthesizes the highest amounts of this enzyme so high levels in the blood may suggest liver injury among other causes. Normal levels of ALP are about 45 to 115 U/L. LD or LDH (Lactate dehydrogenase): This enzyme may be elevated in many types of diseases, including liver disease. Normal levels are about 122 to 222U/L. Note that many hospitals and doctor's offices list a liver function panel as part of a lab workup. These panels vary and may consist of AST, ALT and some or all of the tests listed above. 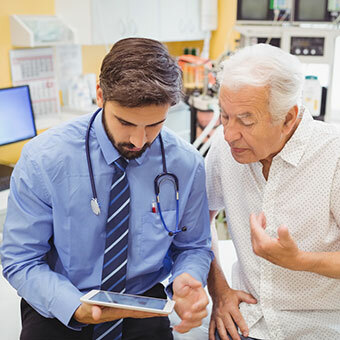 In addition, the normal panel values may vary somewhat, especially between adult men, women and children so viewing the "normal" ranges of test values is always recommended, and a thorough discussion with the physician is necessary. In addition, some clinicians recommend other tests such as serum ammonia and serum lactate levels in their panels. There are other tests such as serum ammonia and serum lactate levels in their panels. There are home liver tests for blood enzyme levels and liver function however, individuals who use these tests should first discuss their use and results with their health care professional. Abnormal liver tests may be detected in the blood in a variety of liver conditions. Mild to moderate elevations of the liver enzymes are common. They are often unexpectedly encountered on routine blood screening tests in otherwise healthy individuals. The AST and ALT readings in such cases are usually between twice the upper limits of normal and several hundred units/liter. One of the most common causes of mild to moderate elevations of these liver tests is a condition referred to as fatty liver (steatohepatitis or hepatic steatosis). 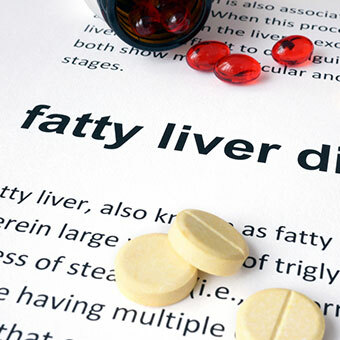 In the United States, the most frequent cause of fatty liver is alcohol abuse. Other causes of fatty liver include diabetes mellitus and obesity. Fatty liver tests are composed of several tests including blood tests, CT and/or MRI tests and in some individuals, a liver biopsy. Chronic hepatitis B and hepatitis C are other causes of chronic mild to moderate liver enzyme elevation. In these conditions, ALT and AST may be only slightly high and the degree of abnormality in liver function tests can indicate the degree if injury. Chronic and acute alcohol use also can commonly cause abnormal liver blood tests. 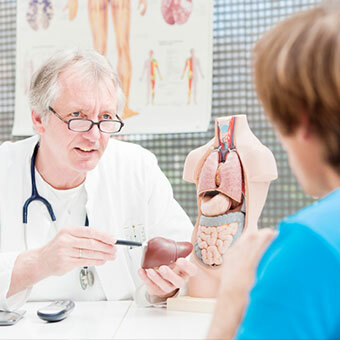 In alcoholic hepatitis, the range of liver tests can vary greatly. In chronic alcohol liver disease or alcoholic cirrhosis, slight elevation of ALT and AST may be observed, whereas in acute alcoholic hepatitis, high liver enzyme numbers are often seen. Many medications can be responsible for mild to moderate increase in the liver enzyme tests (see below). 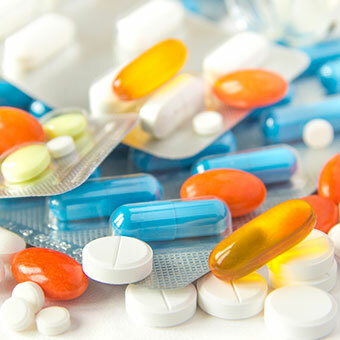 A variety of medications can cause abnormal liver enzymes levels in some individuals. With drug-induced liver enzyme abnormalities, the enzymes usually normalize weeks to months after stopping the medications. Typically, the physician will want to monitor the patient's liver enzymes over time to confirm that the values are normalizing. Also, very high AST and ALT levels can be a result of severe muscle diseases. Less common causes of abnormal liver enzymes in the United States include hemochromatosis (iron overload), Wilson's disease, alpha-1-antitrypsin deficiency, celiac disease, Crohn's disease, ulcerative colitis, and autoimmune hepatitis. Though not as common as hepatitis C, hepatitis B can cause chronic liver disease with persistently abnormal liver enzymes. Hemochromatosis is a genetic (inherited) disorder in which there is excessive absorption of dietary iron leading to accumulation of iron in the liver with resultant inflammation and scarring of the liver. If undiagnosed or untreated, hemochromatosis can progress to cirrhosis and liver failure. Wilson's disease is an inherited disorder with excessive accumulation of copper in diverse tissues including the liver and the brain. Excess copper in the liver can lead to chronic liver inflammation, while copper in the brain can cause psychiatric and motor disturbances. Alpha-1-antitrypsin deficiency is an inherited disorder in which the lack of a glycoprotein (carbohydrate-protein complex) called alpha-1-antitrypsin lead to chronic lung disease (emphysema) and chronic liver disease. Autoimmune hepatitis results from liver injury brought about by the body's own antibodies and defense systems attacking the liver. 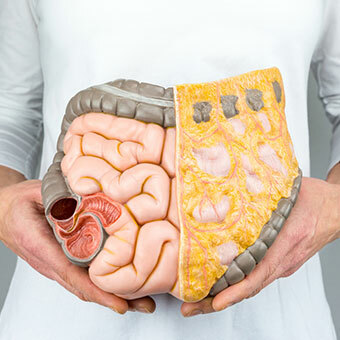 Celiac disease (celiac sprue) is a disease of the small intestine where a person has an allergy to gluten and develops gas, bloating, diarrhea, and in advanced cases malnutrition. Patients' with celiac disease can also develop mildly abnormal ALT and AST levels. Crohn's disease and ulcerative colitis are diseases with chronic inflammation of the intestines (collectively referred to as inflammatory bowel diseases). In these individuals inflammation of the liver (hepatitis) or bile ducts (primary sclerosing cholangitis) also can occur, causing abnormal liver tests. Viral infections other than common hepatitis viruses (A, B, C) can sometimes cause elevation of liver enzymes as they can result in generalized body infection and liver inflammation. Non-viral infections of the liver are rare, but they can cause liver damage. Bacterial and amebic (parasitic) hepatic (liver) abscesses typically present as focal infection and inflammation of the liver as opposed to viral hepatitis where generalized liver inflammation occurs. Liver enzyme elevation is usually seen in the setting of these infections. Rarely, abnormal liver enzymes can be a sign of liver cancer. Cancer arising from liver cells is called hepatocellular carcinoma or hepatoma. Cancers spreading to the liver from other organs (such as colon, pancreas, stomach, and others) are called metastatic malignancies (to the liver). Liver hemangiomas (masses of abnormal and atypical blood vessels within the liver) are the most common tumors in the liver. However, hepatic hemangiomas are benign and in general do not cause elevation of liver tests. Another rare condition that causes elevation of liver tests is called the Budd-Chiari Syndrome. In this condition, obstruction of blood flow in the liver by a blood clot can damage the liver by limiting blood flow leading to injury of liver cells. As a result of this insult, liver enzymes may rise indicating hepatic inflammation. Glycogen storage disorders are genetic conditions seen in pediatric population (detected at birth in severe types or later in childhood in less severe types). They impair the ability of the liver to store and metabolize glycogen, a complex sugar necessary for production of nutrients and energy in the body. Glycogen storage disorders cause varying degrees of liver enzyme abnormalities. Evaluation of healthy individuals with abnormal liver enzymes needs to be individualized. A doctor may ask for the patient's blood test data from old records for comparison. If no old records are available, the doctor may repeat blood tests in weeks to months to see whether these abnormalities persist. Family history of liver disease (for the possibility of inherited diseases such as hemochromatosis, Wilson's disease, or alpha-1-antitrypsin deficiency). A complete list of routine medications including over-the-counter medications will be reviewed. Signs and symptoms of liver disease may or may not be present in individuals with mild increase in liver enzymes. Signs of liver damage can include jaundice, easy bruising, ascites (distention of abdomen as result of retained fluid), enlarged spleen (splenomegaly), and confusion. Symptoms of liver disease are non-specific and numerous. Some of the more common liver disease symptoms may include fatigue, itching, yellow skin, poor appetite, and abdominal discomfort. 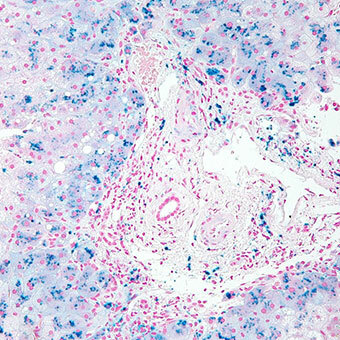 The pattern of liver enzyme abnormalities can sometimes provide useful clues as to the cause of the liver condition. 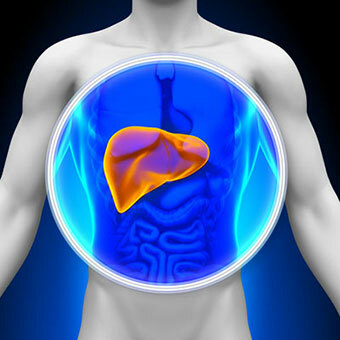 For example, in a majority of people with alcoholic liver disease, liver enzyme levels are not as high as the levels reached in acute viral hepatitis. In alcoholic liver disease, frequently AST tends to be higher (usually under 300 units/liter) than ALT (usually under 100 units/ liter). If alcohol or medication is responsible for the abnormal liver enzyme tests, stopping alcohol or the culprit medication (under a health care professional's supervision only) should bring the enzyme levels to normal or near normal levels in weeks to months. If obesity is suspected as the cause of fatty liver disease, weight reduction of about 5% to 10% should also bring the AST and ALT liver blood tests to normal or near normal levels in some individuals. If abnormal liver enzymes persist despite abstinence from alcohol, weight reduction, and stopping certain suspected drugs, other tests can be performed to help diagnose other possible treatable liver diseases. The blood can be tested for the presence of hepatitis B and C viruses and their related antibodies. Blood levels of iron, iron saturation, and ferritin (another measurement of the amount of iron stored in the body) are usually elevated in individuals with hemochromatosis. Blood levels of a substance called ceruloplasmin are usually decreased in people with Wilson's disease. Blood levels of certain antibodies (anti-nuclear antibody or ANA, anti-smooth muscle antibody, and anti-liver and kidney microsomal antibody) are elevated in individuals with autoimmune hepatitis. Liver ultrasound and CT scan of the abdomen are sometimes used to exclude tumors in the liver or other conditions such as gallstones or tumors obstructing the ducts that drain the liver. These tests also can provide important visual information about the liver such as size, contour, scarring, and anatomically important data. A CT liver scan is very useful to detect traumatic injuries to the liver. Liver biopsy is most useful in confirming a diagnosis of a potentially treatable condition including chronic hepatitis B and C, hemochromatosis, Wilson's disease, autoimmune hepatitis, and alpha-1-antitrypsin deficiency. What is usually most helpful is serial testing of AST (SGOT) and ALT (SGPT) over time to determine whether the levels are increasing, remaining stable, or decreasing. For example, individuals undergoing treatment for chronic hepatitis C should be monitored with serial liver enzyme tests. Those responding to treatment will experience lowering of liver enzyme levels to normal or near normal levels. Those who develop relapse of hepatitis C after completion of treatment will usually develop abnormal liver enzyme levels again. Aside from AST and ALT, there are other enzymes including alkaline phosphatase, 5'-nucleotidase ("5 prime" nucleotidase), lactate dehydrogenase (LDH), and gamma-glutamyl transpeptidase (GGT) that are often used to detect for liver disease. LDH is not specific to the liver and can be elevated in many diseases with inflammation in other tissues. Alkaline phosphatase is another liver enzyme that is frequently measured. This enzyme is usually found in the walls of the bile ducts (tube-like structures within the liver that connect liver cells together). Elevation of alkaline phosphatase may indicate an injury to the biliary cells. Common causes of biliary injury or biliary obstruction (cholestasis) are gallstones and certain medications, although, some of the conditions listed previously can also raise the levels of this enzyme. Alkaline phosphate is also found in the bone and can be elevated in bone diseases. GGT and 5' nucleotidase levels can be elevated in biliary conditions (disease of the gallbladder and bile ducts) along with alkaline phosphatase.